National Teachers Institute, NTI Director of Examinations Discloses that 375,256 Nigeria Certificate in Education (NCE) Students Graduated Within the Past 28 Years. No fewer than 375, 256 students graduated from the NTI’s Nigeria Certificate in Education (NCE) in the last 28 years. Mal. Bashir Mamman, the NTI Director of Examinations, made the disclosure on Tuesday, July 24 at the Directorate Conference Room, while presenting results of the 2017 graduating set of the Institute’s Nigeria Certificate in Education (NCE) at the 4th Academic Board Meeting. He said the Board had approved the results of 9,530 out of the 17, 385 students that sat for the 2017 NCE through the Distance Learning System (DLS) Examination. ‘’ The set of graduating students presented to Board was admitted in 2014,’’ he said. The Academic Board of the Institute comprised of the Management staff led by the Director-General and Chief Executive, Six Zonal Coordinators, reputable academics, who are representatives of the Universities of Nigeria, Nsukka, Ibadan and Benin and representatives of Centre Managers. Mamman, who presented the students’ results one subject after another, gave an analysis of each and sought approval before the Board. The analysis showed that those who passed represented 54.82 per cent in addition to indicating that there was a drop in the number of students that sat for the examination compared with 2016 set, which has 18,415 students with 10,604 passing. During a Power Point presentation of the results, it was shown that the maximum Cumulative Grade Point Average (CGPA) a student could get is 5.00. Analysis on the states indicated that Kaduna State had 2,198 students out of which 1,143 passed representing 52 per cent, followed by the FCT with a population of 1,762, with 727 passing and representing 41.26 per cent. It further indicated that Bauchi has the least number with 33 students and only 15 passed representing 45.45 per cent and followed by Ekiti state with 47 students that sat for the examination, 33 passed representing 70.21 per cent. In the subject by subject analysis, 10,697 out of 10,707 students that sat for Education, representing 99.91 per cent had passed the paper. The report disclosed that 2,355 out of 2,359 sat for English Language representing 99.83 per cent passed. It was revealed that 896 students out of 906 that sat for Integrated Science nationwide representing 98.90 per cent passed the subject. The overall best student of the year 2017 was Ms. Umar Bara’at, Candidate Number 001129 from Government Secondary School Mokwa, Study Centre, Niger State. She read PES/Social Studies. Bara’at has a C.G.P.A of 4.66. 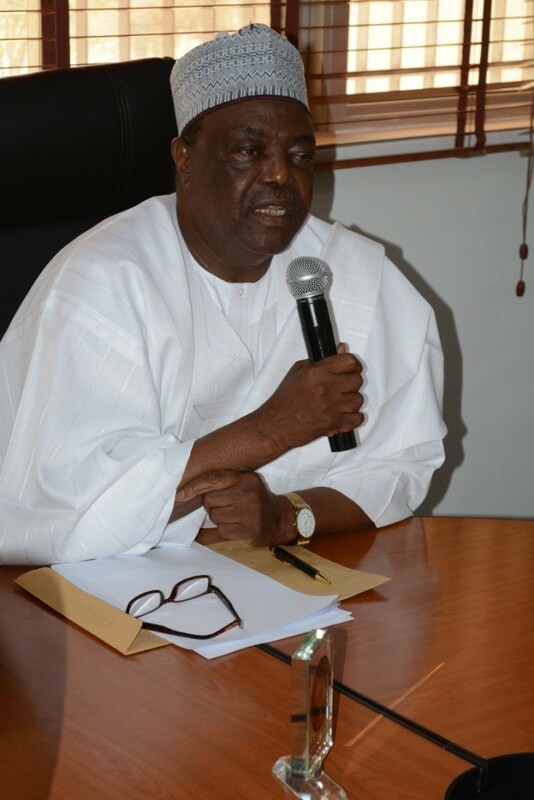 At the meeting, Prof. Garba Dahuwa Azare, the Institute’s Director-General and Chief Executive, who chaired the meeting expressed his satisfaction with the procedure of deliberation by members. Azare said that the Institute is trying to improve on the quality of its services. On the issue of backlog of certificates, he revealed that no fewer than 25,000 certificates are now ready for collection. Azare said that having fulfilled and followed all the due processes, the Usumanu Danfodio University, Sokoto, released the certificates for the Institute. He solicited the support of the representatives of the universities that were present, who are the Deans of Faculties of Education to support and make observations during the meeting. ” We are ready to abide by the observations and corrections,” he said. The meeting observed the dwindling number of enrolment, most especially in subjects like Mathematics, Cultural and Creative Arts and Integrated Science. Responding to the observation raised, Mr. Ndem Ndem, the Acting Director Academic Services, suggested that awareness should be created to avert the situation. Speaking on payment of fees by students, Mr. Yakubu Akaaba Momoh, the Acting Director Field Operations and Students Services said the department through zonal and state offices have sensitized students on registration process and payment, with emphasis to pay school fees in time. The meeting was also attended by Mal. Yunusa Labaran, the Acting Bursar; Mal. Sadiq Abubakar Mohammed, Deputy Registrar, Academic Record Division and Mrs. Fatima Abbas Jega, Deputy Director Test Administration, Examinations Department.